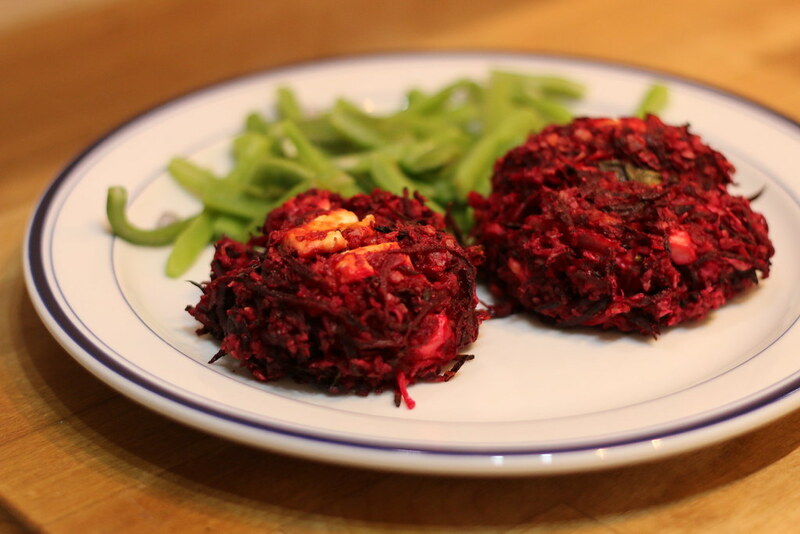 I didn't change anything in the method from the original recipe, so head over to http://food52.com/recipes/24287-beet-and-feta-burgers for the how to. However, I didn't fry the burgers: I oven baked them at gas 6 for 20 mins, then flipped them and baked for a further 10 mins. They held together quite well. If making this recipe again I think I would also grate the cheese, so it is more evenly distributed.